Close monitoring tied to better outcomes in patients taking lenvatinib. 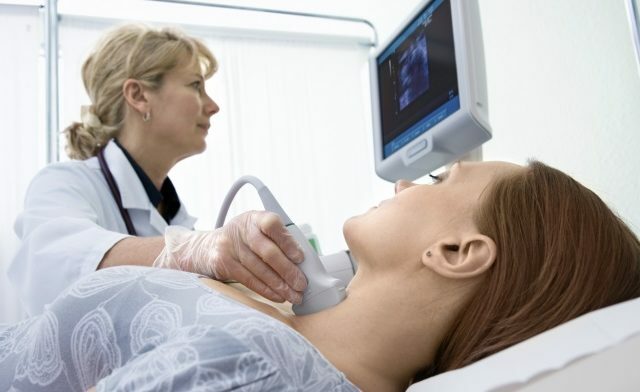 Patient outcomes may vary with the use of lenvatinib (Lenvima®, Eisai) for differentiated thyroid cancer based on how closely patients are monitored and managed, according to recent study results. At the 86th Annual Meeting of the American Thyroid Association (ATA), researchers said that adverse events reported in clinical trials occurred early after lenvatinib initiation. “We looked into our institutional experience with lenvatinib use in progressive and imminently threatening radioactive iodine-resistant differentiated thyroid cancer patients since lenvatinib FDA approval for this indication. We studied 25 patients treated within the last year in our clinic,” Sina Jasim, MD, of the Mayo Clinic, Rochester, Minnesota, said. During a presentation at the meeting, Dr Jasim told clinicians that this agent comes with significant toxicities. However, she said the toxicities occur early, and they require frequent dose adjustment. The patients were followed for a mean duration of 6.5 months (range: 1-12 months) of lenvatinib therapy and the agent was discontinued in 7 patients (28%). Discontinuation was due to disease progression in 1 patient (4%) and serious adverse events in 6 patients (24%). Dr Jasim said RECIST partial response was achieved in 10 patients (40%). Patients in the study were consecutively treated between February 2015 and May 2016 and had progressive, metastatic radioactive iodine-resistant differentiated thyroid cancer (14 papillary, 7 poorly differentiated, 3 Hürthle cell, and 1 follicular). The mean age was 55 years (range: 27 to 81 years) and 52% were women. Each patient previously had received radioactive iodine therapy, radiotherapy, and some received prior kinase inhibitor therapy. At the start of the study, 14 patients (56%) were on antihypertensive agents with controlled blood pressure. Mutation status was available in 13 patients (52%), of whom 2 had BRAF, 2 had TERT mutations, and 5 had both. She said the starting lenvatinib dose was reduced in 4 patients due to old age, renal impairment, and history of colitis. Dose reductions due to adverse events occurred in 11 patients (44%) and therapy interruption of longer than 3 weeks occurred in 4 patients. The quality-of-life scores were maintained at initial follow-up. Disclosures: Dr Jasim reports no financial relationships or commercial interests. Jasim S, Ariza NI, Hilger C, et al. Oral Abstract 11. Post-registration outcomes in differentiated thyroid cancer (DTC) patients treated with lenvatinib. Presented at: American Thyroid Association Annual Meeting; September 21-25, 2016; Denver, Colorado.